March is Women’s History Month. 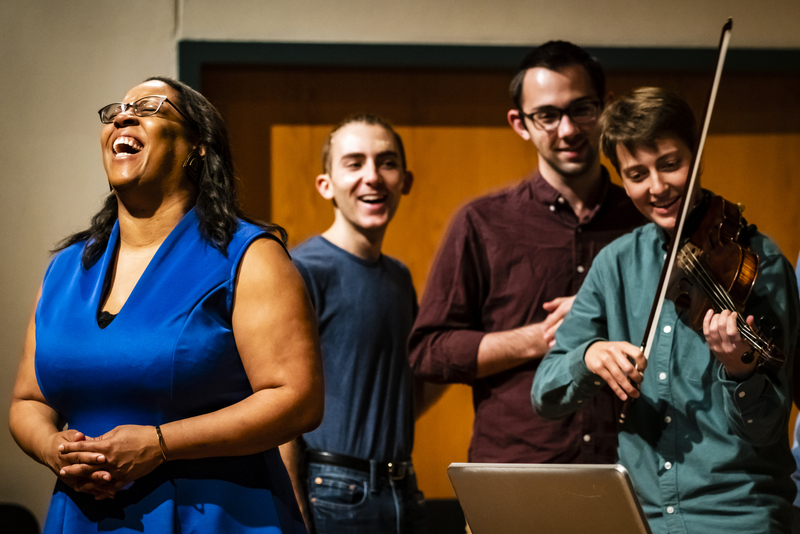 In celebration, we spotlight one of the newest members of the Frost faculty family - internationally acclaimed composer, performer, and flutist, Valerie Coleman. Coleman joined the Frost School of Music in Fall 2018 as Assistant Professor of Performance, Chamber Music, and Entrepreneurship. She also serves as Entrepreneurship and Development Mentor for the Frost Stamps Scholar Ensembles. A creative force in contemporary classical music, Coleman is dedicated to empowering women composers. She was cited by Washington Post critic, Anne Midgette, as one of the top 35 female composers in classical music. The list also includes two recent Frost Distinguished Composers in Residence, Augusta Read Thomas and Melinda Wagner. Another great source of musical inspiration for Coleman is Afro-Cuban composer, conductor and professor Tania León (b. 1943). “Tania is a force of nature, passionate about music from sun up to sun down, not only about women composers, but also her own Cuban background. Her rhythms are ingenious.” León is founder of Composers Now, an organization that empowers all living composers by celebrating the diversity of their voices and the roles they play in contemporary society. Her mother claims that when Valerie was in the womb, she often played Beethoven’s Sixth Symphony, the Pastoral Symphony. “Perhaps that's how it all began,” Coleman chuckles. For more on Valerie Coleman, visit https://people.miami.edu/profile/vxc352@miami.edu.